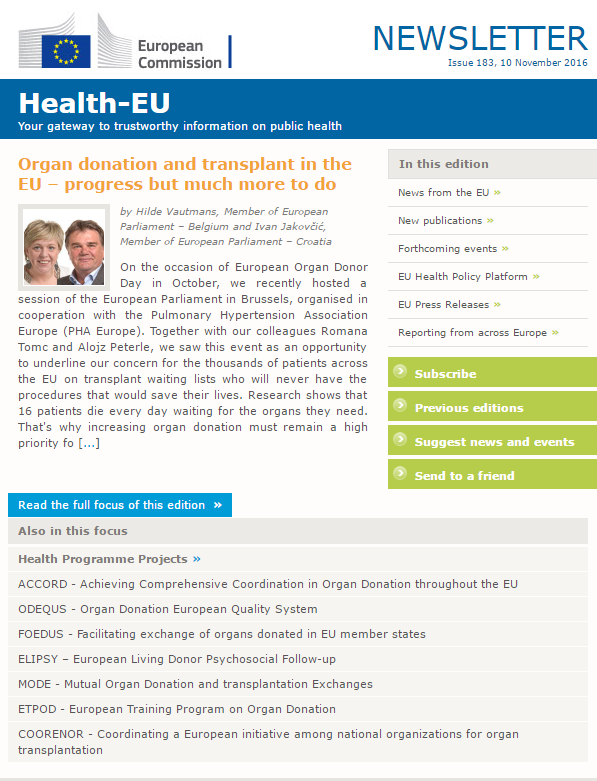 Read the Health EU e-newsletter from the 10th of November here, featuring Belgian Member of the European Parliament Hilde Vautmans and Croatian Member Ivan Jakovčić, in light of the event on organ donation and transplant in the EU organised in cooperation with the Pulmonary Hypertension Association Europe (PHA Europe) in the European Parliament in Brussels to celebrate the European Organ Donor Day. The members’ welcome statement “Organ donation and transplant in the EU – progress but much more to do” is available here. 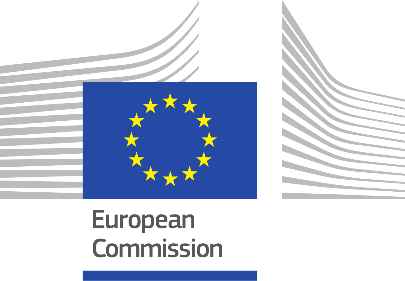 The European Commission has launched a database for interested scientists to register in order to contribute to the work of the European Commission’s Scientific Committees in the new 2016-2021 term. Scientists would be involved on an ad hoc basis on specific issues, as external experts, members of working group or for scientific hearings and workshops. Selection criterial include good command of English, holding a university degree in a relevant scientific area preferably at postgraduate level. More information on the fields of competences and practicalities to register is available in the EU Decision C(2015) 5383 on establishing Scientific Committees in the fields of public health and consumer safety and the Rules of Procedure.